As its former president heads for rival United, American is installing an internal candidate from outside the comms team - a revenue manager and ex-analyst with marketing experience - as director of corporate communications. FORT WORTH, TX: American Airlines has named Kristen Foster director of corporate communications to replace Casey Norton, who exited the company in July, according to an internal announcement seen by PRWeek. Norton left American Airlines to spend time with his family, the company’s VP of global communications and public affairs Ron DeFeo told PRWeek via email. Norton was with the company for more than three years. Foster has worked at American Airlines for the past nine years, the last of six of which were spent in revenue management in various senior positions, including senior manager of domestic yield management and senior manager of Pacific revenue. She started as an analyst at AAdvantage and a senior analyst in financial planning, according to her LinkedIn profile. "The best communicators often come from the business," Defeo told PRWeek. "[Foster] understands the airline industry, is process-oriented, and is seen as a terrific leader. She does have prior marketing experience as well, so when you put that all together she was the ideal choice for [the] role." Foster was not immediately available for comment. Foster’s responsibilities include leading comms work for American Airline’s commercial and corporate activities, DeFeo added. Her tenure officially starts in early September. She will be based in the company's headquarters in Fort Worth, Texas and oversee a team of 10. Prior to joining American Airlines, Foster worked in a number of marketing roles at horserace track Lone Star Park at Grand Prairie, the memo says. Her LinkedIn profile shows she was a marketing director for the racetrack. In 2013, American Airlines appointed Elise Eberwein to lead communications following its merger with US Airways. As EVP of people and communications, Eberwein oversees media relations, internal communications, social media, public affairs, and human resources for the combined company. She was formerly EVP of people, communications, and public affairs at US Airways and its holding company, US Airways Group. News of Norton’s departure and Foster’s hiring emerges in the midst of a leadership shakeup involving American Airlines and United Airlines. The company's president, Scott Kirby, has left American Airlines after serving for 20 years alongside CEO Doug Parker to become president at rival United Airlines. COO Robert Isom replaced Kirby as American president, effective immediately. Kirby’s addition concludes CEO Oscar Munoz’s efforts to bring together a leadership team at United, he said in a statement. American positioned the senior management changes as "the result of the company's board of directors' ongoing succession planning process" in a prepared statement. The Street reported an SEC filing says Kirby will receive $3.9 million in a lump sum on top of two years of continued health coverage and accelerated vesting of 258,958 shares of stock, worth about $9.4 million. 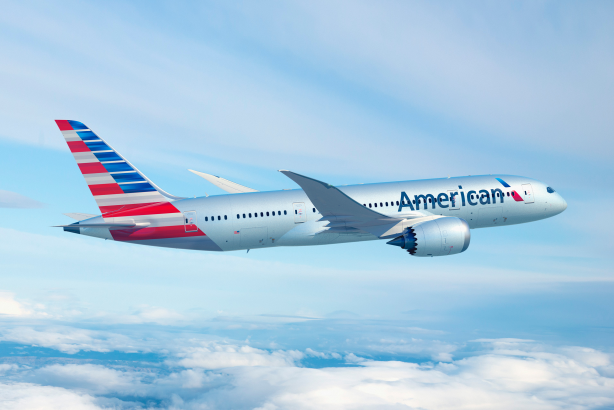 American reported a 4.4% drop in revenue to about $10.4 billion for Q2 of 2016 while still meeting estimates, compared to United’s 5.2% dip to $9.4 billion, which beat estimates. This article was updated on August 31, 2016 with comment from DeFeo.